Bluegrass Music, BBQ and Celebrities! 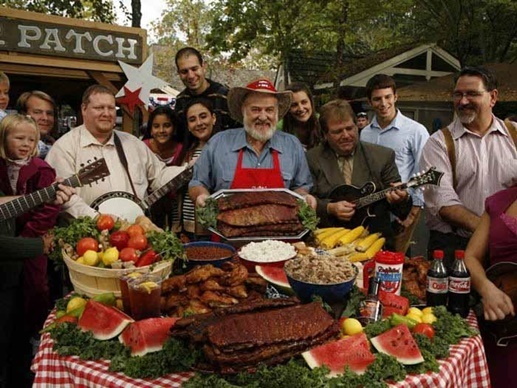 Bluegrass & BBQ Festival at Silver Dollar City is an event held annually in Branson and features food extravaganza and American traditional music performed by award-winning artists. Come and see this astounding festival with the combination of traditional music and food fest that will be held on May 5 to 30, 2016. Savor the taste of delightful barbecue at The House of BBQ in Red Golf Heritage Hall. The two events of American traditions of classical music and the barbecue food feast are celebrated in a truly entertaining presentation at the Bluegrass & BBQ Festival at Silver Dollar City. When it comes to world-class theme parks and phenomenal Branson activities, there’s no better attraction than the “Silver Dollar City”. Great live music, thrilling rides, talented craftsmen and artisans demonstrating their skills, incredible food, amusements, exceptional shopping, and seasonal and themed festival and events. That’s not all, you will find more at this award-winning theme park. Try to ride the wooden roller coaster (voted the Best New Ride of 2013 by Amusement Today magazine) and the breathtaking, heart-pounding, and record-breaking Outlaw Run. At Grandfather’s Mansion, you can either laugh your way or be terrified through mystifying rooms with slanting floors, mirrored walls, and other dizzying effects that’ll turn your world upside-down. In the ancient Marvel Cave, you can descend nearly 500 feet where you’ll see the breathtakingly incredible Cathedral Room, and hear historical information and fascinating stories from experienced guide. Once the musical entertainment starts, you can stomp your feet, clap your hands, and holler ‘ayee’ as Cedric Benoit and his Cajun Connection Band share the best of Southern music. You will also be amazed as the world renowned Harlem Globetrotters inspire you with their amazing basketball skills. Where else in the world that you can get to enjoy all this? After all the fun with Branson activities at Silver Dollar City, you can start grabbing delicious food such as iron-skillet-fried calico potatoes; barbecue pulled-pork sandwiches; popped and sweetened on-site kettle corn; steam hot succotash and sausage; fluffy, powdered sugar-dusted funnel cake; and even kid-friendly fare like pizza, chicken tenders, and hot dogs. This long festivity at Silver Dollar City features 50 bands with entertaining performances of hundred shows in the 16-day Bluegrass & BBQ Festival. The musicians, singers and other performers come to Branson to share their musical talents. The Bluegrass presentation was influenced by the ancestors of American settlers using traditional music. The Irish and Scottish settlers have contributed their influence to the traditional fiddle music, while American influence can be found in the rhythms of the music. Visitors from across the country come to Bluegrass & BBQ Festival at Silver Dollar City every year to enjoy live bluegrass music and delicious BBQ foods. This annual festival of Bluegrass, Music, BBQ and Celebrities during the month of May is one of the best Branson activities held at Silver Dollar City that brings the country’s traditional music by a group of performers with great food to entertain visitors of all ages.